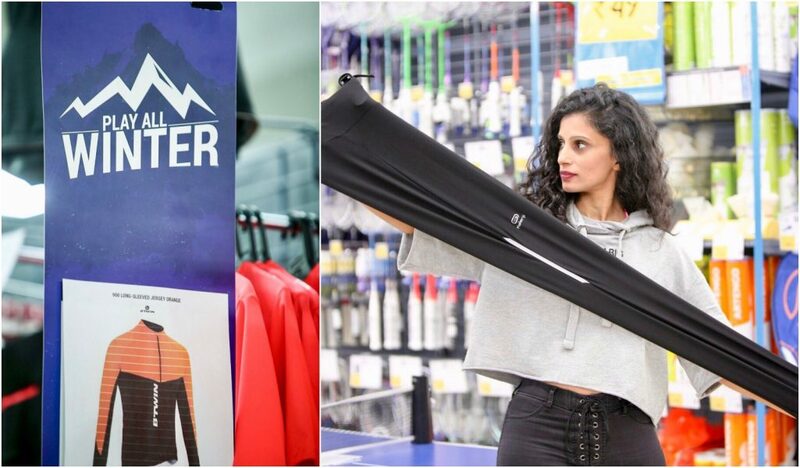 Home Fitness Winter Fitness Essentials at Decathlon – Hello December! You never come back empty handed from a Decathlon store! Try! And you will fail! It has gear and equipment for every possible indoor and outdoor sport. Kids, women, men – there is everything for all three. The stores are large. There is energy. And you see people even trying to Bike inside. They have the best sales people – because they are passionate about sports themselves. In short – Decathalon keeps it simple. It is all about SPORTS! I was at the Decathlon store in Huda City Centre last Sunday. And their winter stuff is worth a dekko and pick, stocked with great winter fitness essentials. So if you are in Gurgaon, at the Huda City Centre, Do walk in at the Big Big Decathalon! The lightweight Running Caps, called Beanies. If you are planning a winter trek – there is just about everything that Decathalon has! Backpacks, downlight jackets, thermals, a good range of trekking shoes by Quechua, hiking sticks, gloves, socks! A trekker’s paradise!